Winners will be announced at Gala Dinner in Amsterdam in April. 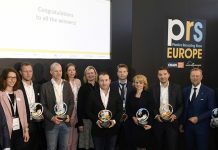 Following the success of this year’s inaugural Plastics Recycling Awards Europe, the organizers have announced the expansion of the awards to a total of eight categories for 2019. The awards will be presented at a gala dinner at the RAI, Amsterdam on the evening 10 April 2019, after the first day of the Plastics Recycling Show Europe. 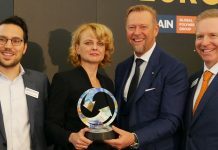 Open to organizations and individuals across Europe who are involved in the recycling of plastic materials, the Plastics Recycling Awards Europe are organized jointly by Plastics Recyclers Europe (PRE) and Crain Communications, organizers of the Plastics Recycling Show Europe. Product designers, design engineers, plastics processors, manufacturers, brand owners, retailers and suppliers of recycled plastic products are all invited to enter. Entries for the awards will open later this month and close by 23 November. Finalists will be announced in January 2019. Organizations interested in entering are encouraged to follow @PRS Europe and @RecyclersEU and the hashtag #PRAE2019 on Twitter for the latest news and confirmation of online entry opening. 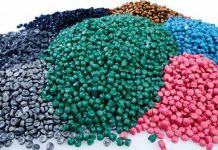 The Plastics Recycling Show is a pan-European, free-to-attend exhibition and a conference designed specifically for plastics recycling professionals. It brings together key players from the plastics and recycling sectors to showcase innovative technology, share best practice, network and do business. A broad cross section of the industry is represented at the event including plastics recycling machinery and equipment suppliers, plastic material suppliers and compounders, pre-processors, plastics recyclers, waste management specialists and industry associations.